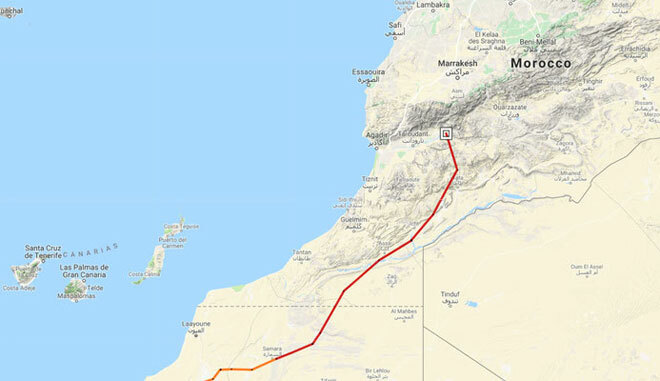 Douro – an Egyptian vulture captured and tagged at the Escalhão supplementary feeding sitelast June in the framework of the project LIFE Rupis , and that has spent the winter in the border between Mali and Mauritania, will cross into Europe in the next few days – he was near Marrakesh in Morocco yesterday. Douro started moving northwards on the 24 January, and is expected in the Douro in early March- Douro is an adult breeding bird – last year he failed his breeding attempt for unknown reasons. 5 adult or sub-adult Egyptian vultures from the Douro area are equipped with a GPS tag that have been providing the LIFE RUPIS with valuable information about their detailed movement. All the five birds made it to their wintering grounds – see here>>. Unfortunately, three birds (Rupis, Poiares and Bruçó) did not sent data in the last months – however as GSM coverage is bad in parts of the wintering grounds, it might be that once they start migrating north we will receive new data. We keep our fingers crossed that they will arrive safe back in the breeding grounds in Europe. 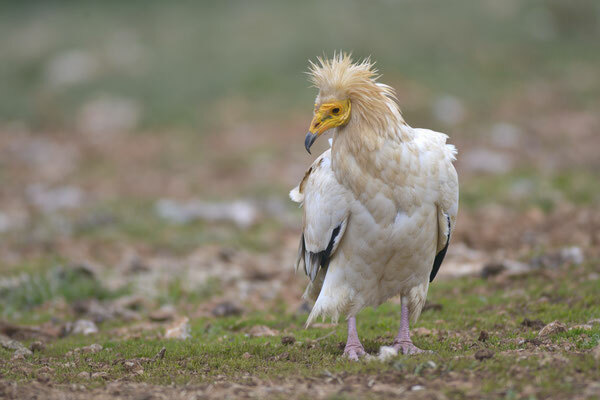 The LIFE RUPIS project aims to implement actions to strengthen the populations of the Egyptian vulture (and the bonelli’s eagle) at the trans-border Douro, by reducing the mortality of these birds and increasing their breeding success. The Egyptian vulture is the smallest vulture in Europe, and it is classified as “Endangered” – in Europe its populations have declined by 50% over the last 40 years.